Fabrizio Macagno is a researcher (Investigador FCT) and auxiliary professor at the Universidade Nova de Lisboa, Portugal, where he teaches courses of Strategic Argumentation and Ph.D. seminars. He is conducting research in the field of Argumentation and Philosophy of Language, which applies to Education, Medical communication, and Legal interpretation. His research interests are focused on the relationship between argumentation and semantics, which he tackles from an epistemological, logical and linguistic perspective. 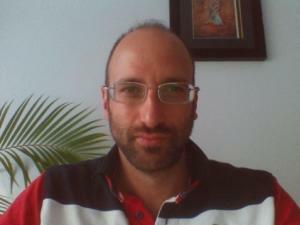 Fabrizio Macagno has published on several topics, including definition, argumentation schemes, common knowledge, reasoning from analogy, and presumption and burden of proof. His articles have appeared in international peer reviewed journals such as Pragmatic and Cognition, Journal of Pragmatics, Argumentation, Ratio Juris, Philosophy & Rhetoric, and Informal Logic. He developed his approach to argumentation schemes, interpretation, definitions, and emotive language in two books published by the Cambridge University Press and in the most rececent Interpreting straw man argumentation published by Springer.